Owning your own vehicle today is not just a matter of luxury for many people in Australia. Typically, based on the area that you reside in, a car is considered a necessity when the proximity from home to work cannot always be made with public transportation. Also, when you purchase your own car of the brand, Honda, you need to ensure that it remains in good running condition to get you from one destination to the next. Call us for Honda service in Hawthorn East, Camberwell, Kew & nearby suburbs. So, for those of you who own your own foreign made cars like Honda, here are 3 great benefits to following the regular recommended schedule. Taking your foreign made vehicle to Bob Water Service centre for regular maintenance is a necessity and not an extra part of owning this type of car. Instead, when you are pre-emptive about getting these services done, you will have a chance to ensure that your car is safe for the drive on the road. For instance, when you visit this centre, you will be provided with a roadworthy certificate that will give you the peace of mind that you need in order to protect you and your family. Opting to follow a regular maintenance schedule for the different parts of the car is also essential. With these types of services, the technician can review the different parts and fluids to make sure that they are at the optimum level. For instance, checking the oil on a regular basis can prevent damage to the engine. 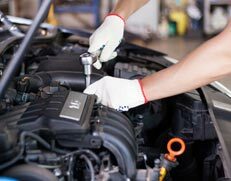 When a vehicle is maintained properly on a regular basis with Honda Service, the mechanic can discover various issues which may become a full-blown problem that causes the vehicle to not operate while out on the road. By keeping these schedules, you will not spend unnecessary time on the side of the road waiting for help.